louisville. | everything will turn out alright. i apologize for my blogging absence. i spent the last several days with my little family in louisville, kentucky! travis was down there to take (and pass with flying colors) his first level sommelier exam. sylvie and i tagged along because it’s BIRTHDAY WEEK! what is BIRTHDAY WEEK? travis’ birthday was tuesday and mine is today. we both turned the big 2-5.
to celebrate the three of us went out to a nice dinner at proof on main in downtown louisville. 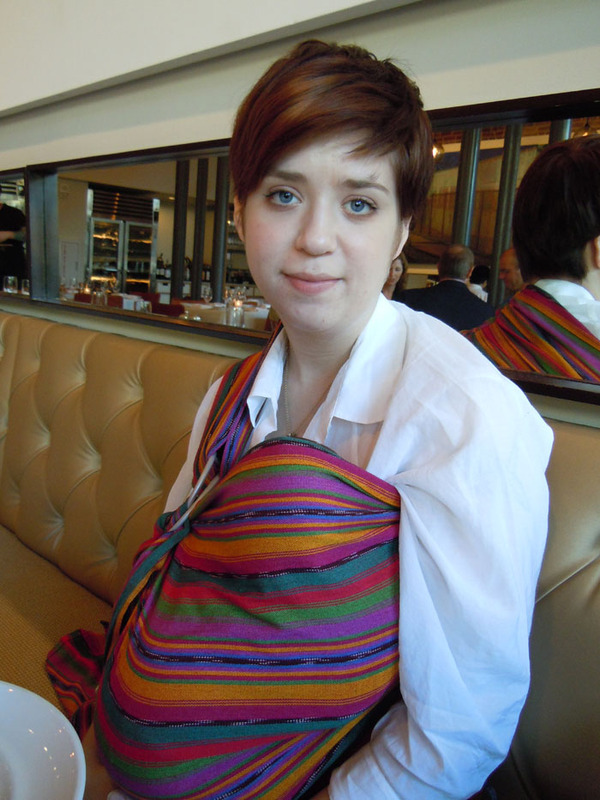 sylvie slept in her maya wrap the entire time. after dinner we took a walk down the block to the louisville slugger museum. 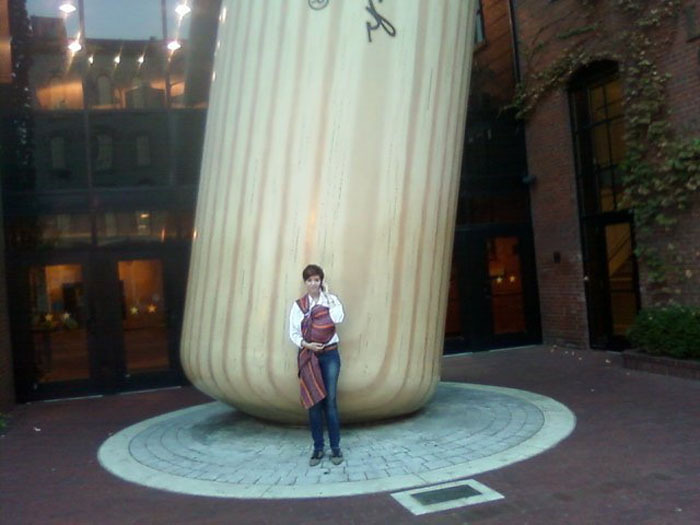 travis snapped a picture of me and my girl in front of the world’s largest baseball bat. it was heavenly to read magazines at a leisurely place and with BOTH HANDS. we also walked around a random mall for a couple of hours. 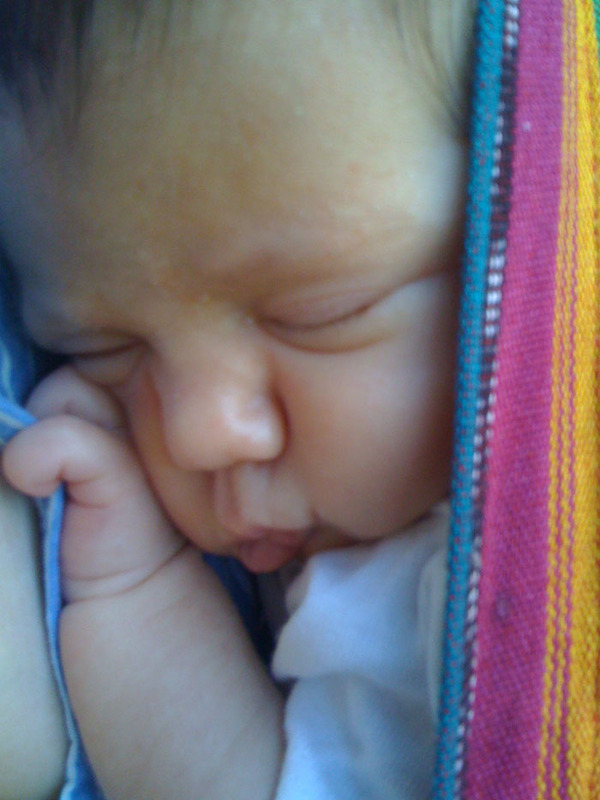 again, she slept in the maya wrap while i scored a peacoat sweater for her at old navy. old navy is having a FANTASTIC sale right now. all clearance is an additional 50% off. 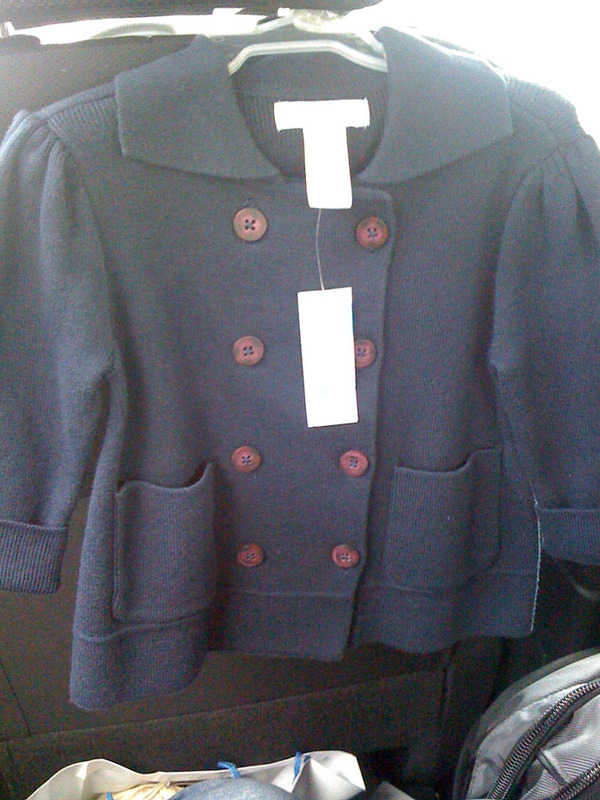 i got this peacoat for…wait for it…$2.98! TWO NINETY-EIGHT. say whaaaaaat?! we got home fairly late last night after a delicious dinner stop at an all-you-can-eat-for-$9.99 family-owned buffet. amazingly, sylvie slept 5 consecutive hours the last two nights! i feel like a new woman. she and travis were still recovering from the trip this afternoon. 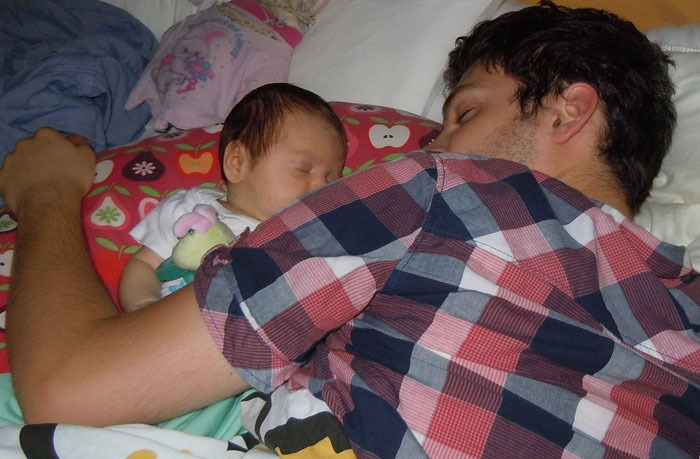 she is snoozing on her daddy’s chest as i type this. we’re going to put her down and climb into bed. goodnight! 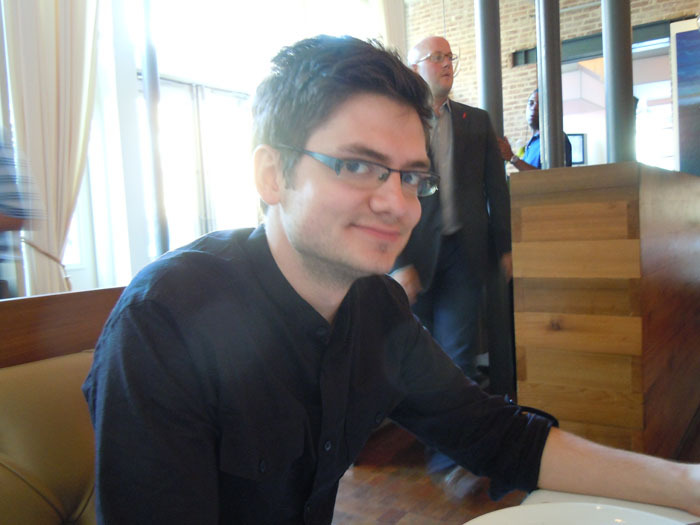 This entry was posted in Uncategorized and tagged birthday, travel. Bookmark the permalink. High five on the Old Navy score! I was there a couple of days ago and scored some pretty awesome deals myself. Still waiting on our little girl to get here though (today is my due date). Sylvie is just beautiful. 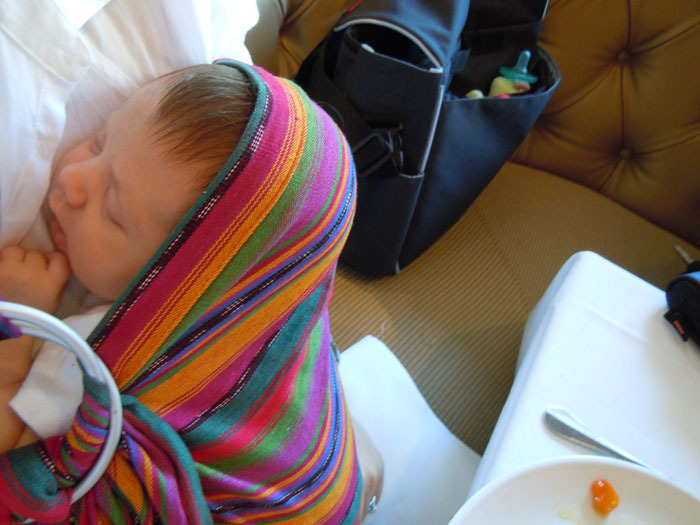 You seem to really like the Maya wrap – did you give up on the Moby wrap all together? I LOVE the Maya Wrap. I haven’t given up on the Moby completely. I just don’t like it for right now. She’s still so small and it doesn’t feel as secure as I would like. I’m going to give it another go at around 3 months when I can face her out. She prefers the Maya, too. Been missing your blog! I’m so glad to see you had such a nice week. You look amazing and are doing an AMAZING job as a mommy. She’s so beautiful. I had my baby on the 8th and the learning curve is steep! It’s all such a joy. Though I did have my first mommy melt down last night. Bound to happen with the lack of sleep. Much more myself today. I second the question re: moby vs. maya. I have the moby and I like….sort of. Haven’t done much wrapping yet as he’s only 2 weeks. Congratulations on your baby! I’ve had a few Mommy meltdowns myself. I think it comes with territory. Not sleeping+stress (over milk production in my case)=one bent out of shape mommy. The Maya is wonderful. I can’t say enough good things about it. She sleeps like a champ in it and it really helps to calm her down during her witching hour(s). I can get her in and out of it easily and I love the zipper pocket for carrying my keys, phone and wallet. I’m willing to give the Moby another go when she’s bigger/older. Great pictures! I can’t believe the deal you got on that peacoat. It is SO cute!! Thanks for the birthday wishes, Jess! I saw the award! Thanks! Just found you and now I am spying!! 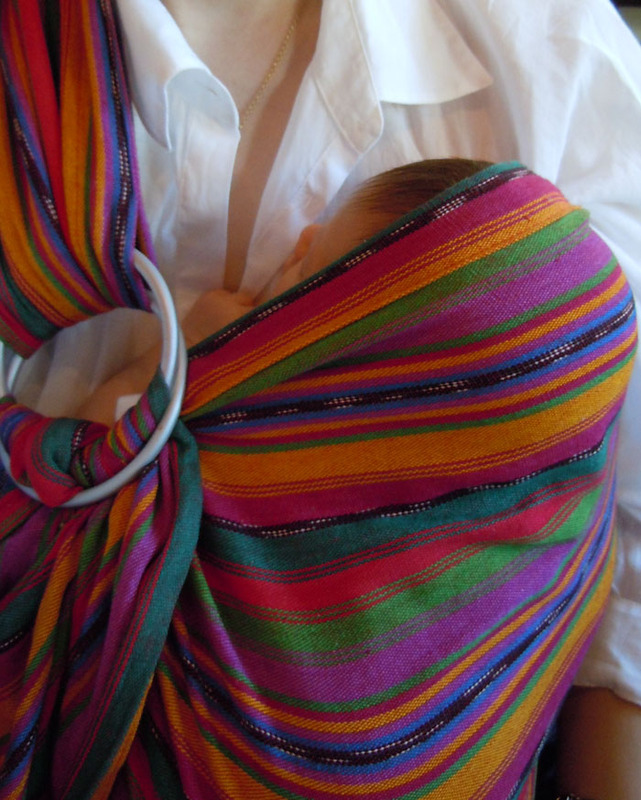 I adore the wrap in this post – I once got to hold the most darling little girl in the world whilst her Mummy wrapped herself up in one with the same pattern!! Oooh, babies make me mushy!! Sylvie is gorgeous and I love her outfits!